(Bloomberg) -- With the market rally taking a little breather -- and now that no-deal Brexit is out of the picture at least until the end of October -- it’s worth having a look at sector leadership, with some industries like mining and retail looking a bit stretched. There’s one sector that seems to have some good upside left: energy. Oil shares are set to outperform, according to Oddo strategist Sylvain Goyon, who upgraded the sector to overweight this week. “The market is desperately seeking ideas combining free cash flow, balance sheet strength and reasonable valuation,” he writes in a note, highlighting that the sector offers all of that. Indeed, the Stoxx 600 oil & gas index (SXEP) is still trading at reasonable absolute and relative valuation levels and provides an above-average dividend return. Oddo points out that the dividend is safe as the free cash flow yield forecast of the sector stands at 9 percent. Looking at futures, the market is pricing oil majors’ payouts on the safe side. And there’s more. The breakeven for oil majors currently stands at $50 a barrel, a level expected to drop to $45 in 2020, according to Oddo. Oil prices have been on the rise, with Brent trading above $70 this week for the first time since November, which could translate into earnings growth. OPEC countries have shown discipline in cutting production, while U.S. shale oil may miss production targets this year. Further geopolitical tensions (Libya, Venezuela, Iran) are also likely to support prices. 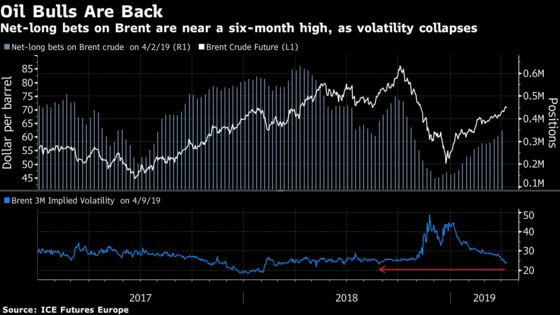 If you add that oil volatility is collapsing, it’s no wonder bullish bets on oil have been on the rise. Macquarie analysts have increased their oil price forecast this week, highlighting a strong OPEC compliance and loadings deficit. They see Brent averaging $69 and $65 in the second and third quarter, respectively. They list their top picks as Total, OMV and Galp. Oddo favors Total and Royal Dutch Shell among majors, as well as Subsea 7 in services. 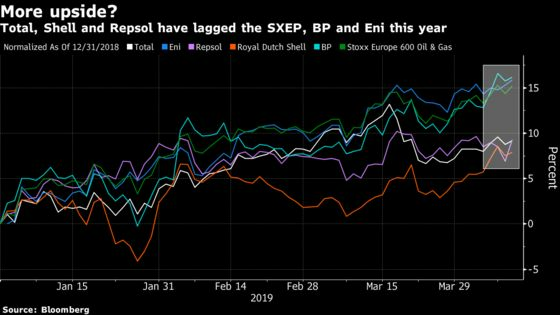 Saipem will kick off the earnings season for oil services on April 17, while Eni will be the first major to report on April 24. Ahead of the open, oil is down 0.4% and Euro Stoxx 50 futures are trading little changed. Watch luxury stocks and spirits makers after LVMH reported 1Q sales that beat estimates after a “buoyant” start to the year, in particular at its soft luxury and wine & spirits divisions. Watch Kering, Hermes, Diageo, Pernod Ricard and Remy Cointreau, as well as Moncler and Burberry. Richemont and Swatch also could be active as LVMH’s watch and jewelry division was the slowest growing. Watch trade-sensitive shares as investors remain in the dark about a China-U.S. trade deal. So far, the two countries have “pretty much” agreed to open enforcement offices that will ensure each party sticks to the terms of said deal, U.S. Treasury Secretary Steve Mnuchin said. Watch the pound and U.K. stocks as investors digest the news about the Brexit extension until October 31. It’s shorter than some member states had argued for, due to French President Emmanuel Macron taking a hard line. But the postponement still sets U.K. Prime Minister Theresa May up for a backlash from euroskeptics at home, and she’ll now need to figure out what exactly these six months will be used for. Watch U.K. homebuilders as prospective home-buyers in Britain are anxious, sellers are reluctant and agents are struggling to negotiate agreements. That’s the verdict of the latest survey from the Royal Institution of Chartered Surveyors, as its index of prices sits deep in negative territory, pointing to “modest” losses over the next two quarters, and citing Brexit as the major drag. LVMH 1Q Fashion, Leather Goods Organic Rev. Growth Beats Est. Diageo’s ambition to reliably deliver consistent sales growth, margin expansion and cash flow may “appear boring” but is “far from dull,” Jefferies writes in a note upping its PT on the spirits company to 3,600p from 3,300p, and reiterating its buy recommendation. Diageo can still deliver total shareholder returns in the low double digits, an attractive feature for a core consumer staples stock, the broker said. Morgan Stanley cut Engie cut to equal-weight from overweight, arguing that growth targets at Feb. strategy day were below expectations and co. faces headwinds in 2019. Investors are likely to await evidence of delivery before any re-rating of the shares occurs. 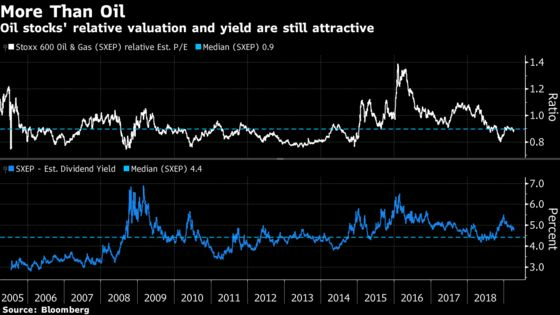 The European utilities sector is among the most overbought and expensive in the market, Morgan Stanley strategists and analysts say in note, downgrading to neutral. Performance, valuation and positioning all seem elevated against historical levels, while earnings momentum is fading. Says utilities have never outperformed in the six months after a trough in eurozone PMI, while the sector could also be vulnerable to rising bond yields. Handelsbanken and Swedbank are seen having tactically best 1Q resilience relative to consensus on core momentum, Morgan Stanley says in a note ahead of the upcoming earnings season. On the other hand, Nordea and Danske are seen having most negative revisions risk.